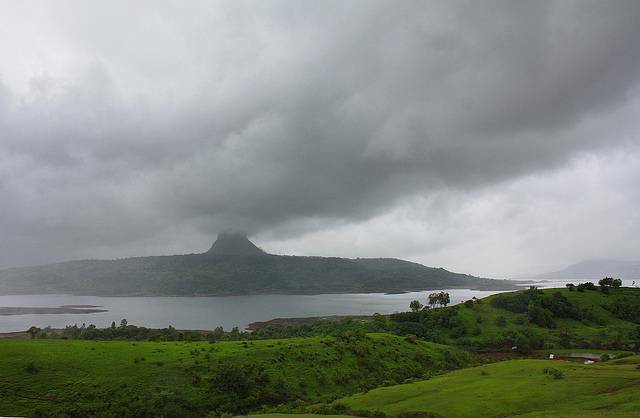 Perched at an altitude of 1075 mts above sea level, Tung fort or Kathingad fort is a hill fort wrapped up by water on its three sides due to Pawna dam. One should take a ferry to reach the foothill of the tungi village. The trek from Pawna Dam to the fort is nearly 400 meters climb. The path is narrow, steep and edgy thus the trekking is quite tough here. The fort is conical and oval shaped. The fort is quite small when compared to its counterparts Visapur and Lohagad. As per historical facts, the fort which dates back to 16th century served as watch tower in Adil Shah Dynasty. King Shivaji of Marathi Dynasty later captured it.